PIC: F4J Founder Matt O’Connor and his son Archie. 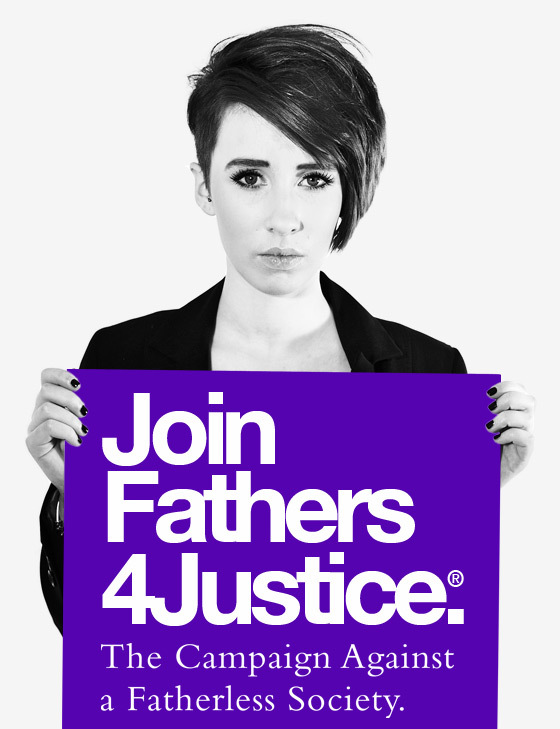 Campaign group Fathers4Justice (F4J) have announced it is launching a charitable foundation to provide life-saving support services for separated dads, including a 24/7 National Lifeline and other social justice initiatives aimed at suicide prevention, men’s mental health, homelessness, and helping men and boys in distress. 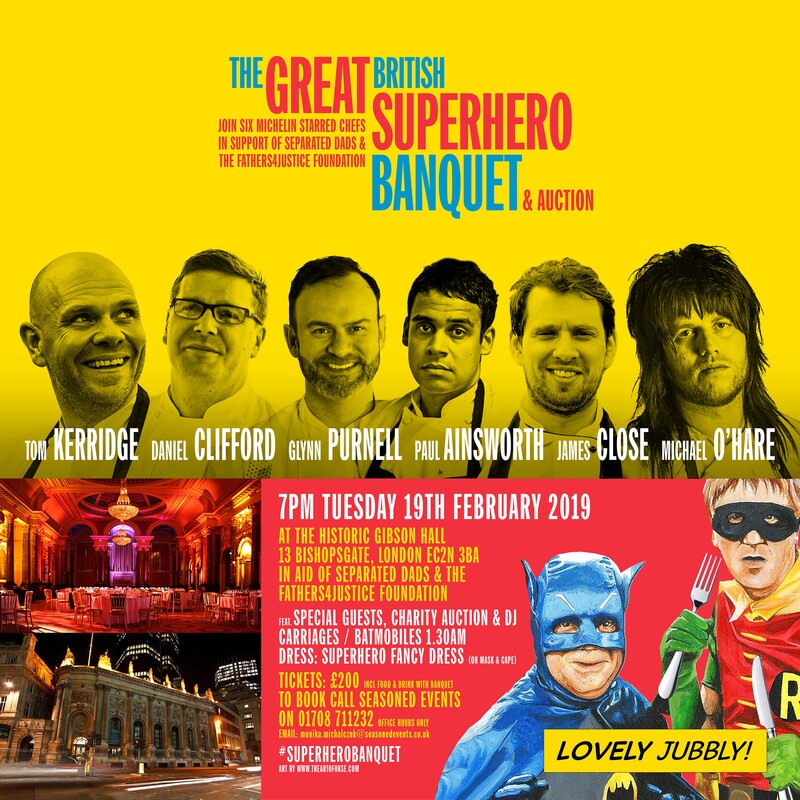 The Fathers4Justice Foundation will be launched at ‘The Great British Superhero Banquet’ which will take place at the historic Gibson Hall in the City of London on 19th February 2019 and will feature six Michelin starred chefs including Tom Kerridge, Daniel Clifford, Glynn Purnell, James Close, Paul Ainsworth & Michael O’Hare, plus other special guests. Tickets are £200 each including all food and wine during the banquet and auction. The dress code is ‘superhero’ fancy dress, a nod to the famous superheroes campaign staged by Fathers4Justice. Tickets can be booked through Seasoned Events on 01708 711232 / monika.michalczuk@seasonedevents.co.uk during office hours. 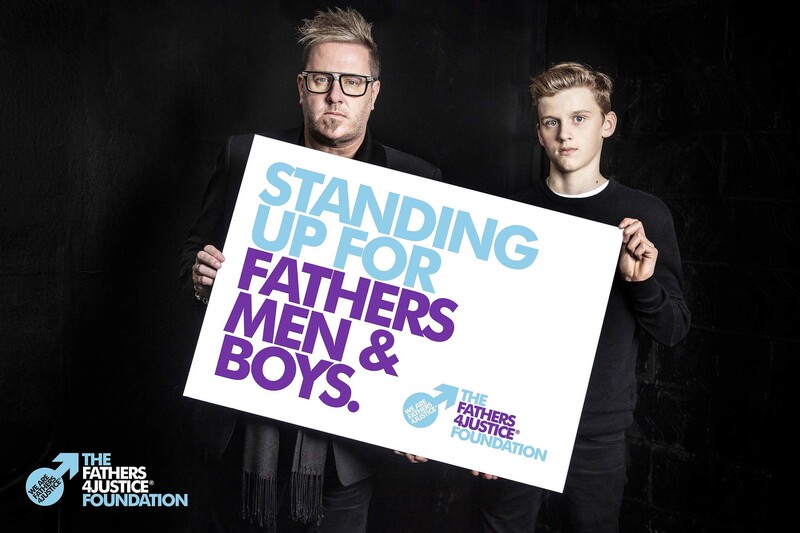 The F4J Foundation will use a new slogan “Standing Up For Fathers, Men & Boys” to represent it’s broader remit addressing men’s health issues. Follow The Fathers4Justice Foundation on Twitter and Facebook.